Print directly onto disks using a CD/DVD printer. Ideal for use with DVD printers or duplication services. 4.7GB capacity - up to 2 hours of video. 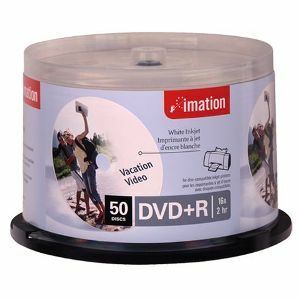 Up to 16x speed, record a full length DVD in less than 5 mins.